The liver is one of the human body's most crucial organs as it processes and disposes nearly every toxin, chemical and contaminant that enters it. 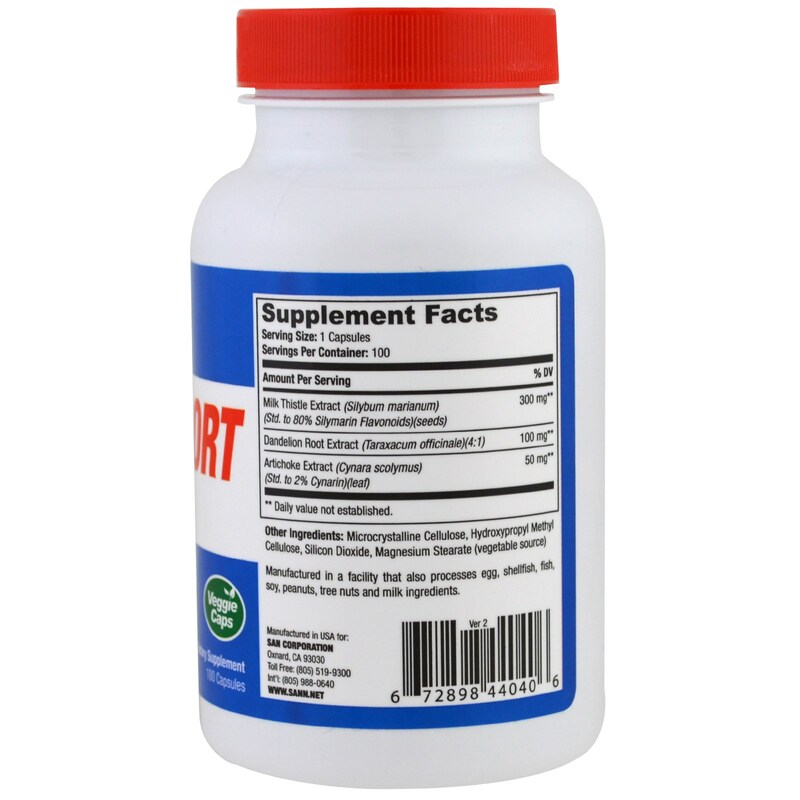 In many instances the demand on the liver can increase dramatically depending on alcohol or ammonia intake. As a serious minded athlete you train harder and thus your demands on the liver increase proportionally. At some point, your performance and endurance might hit a plateau. 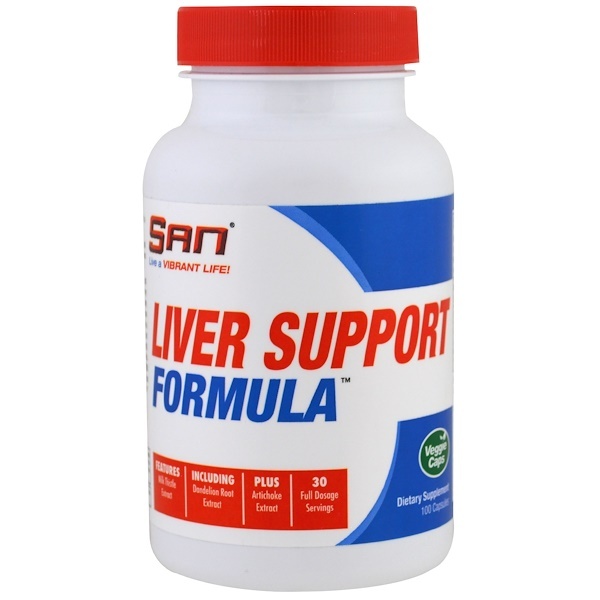 Protect your results and recover with SAN's Liver Support Formula today. 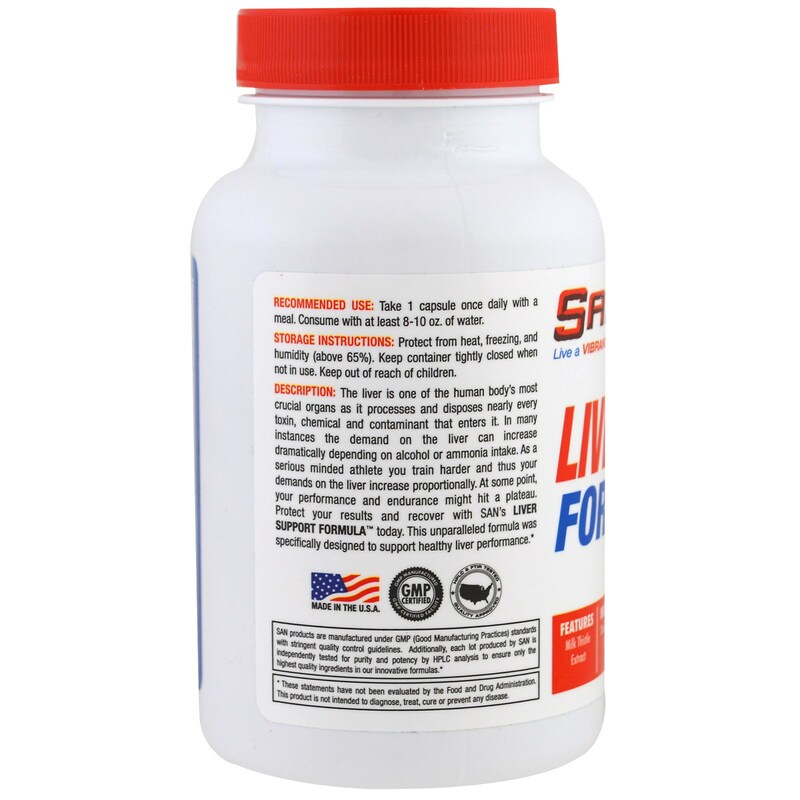 This unparalleled formula was specifically designed to support healthy liver performance. Take 1 capsule once daily with meal. Consume with at least 8-10 oz. of water.